Primary and social care employers actively seek graduates who hold approved degrees. A Health and Social Care professional doctorate designed for professionals intending to pursue careers as Advanced Practitioners. The course will develop advanced research skills and apply this to professional practice. 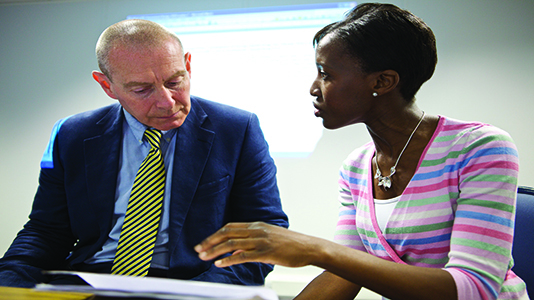 Degree course in Social Work, accredited by the Health and Care Professions Council (HCPC); the first step to becoming a qualified social worker. A CPD course for registered nurses. This BSc (Hons) is for nurses with an undergraduate Diploma. Registered nurses with a Bachelor's degree should instead choose the PgDip qualification. Postgraduate Masters (MA) course in Social Work; the first step to becoming a qualified social worker. Approved by the Health and Care Professions Council (HCPC), accredited by the College of Social Work. MSc (top-up) Advanced Nurse Practitioner (ANP) course. PgCert/PgDip/MSc Leadership and Service Improvement course focusing on leadership, change management, service innovation and delivery. A CPD course for registered nurses. This PgDip is for nurses with a Bachelors degree. Registered nurses with a Diploma should instead choose the BSc (Hons) qualification. A CPD course for registered nurses. This PgDip is for nurses with a Bachelor's degree. Registered nurses with a Diploma should instead choose the BSc (Hons) qualification.